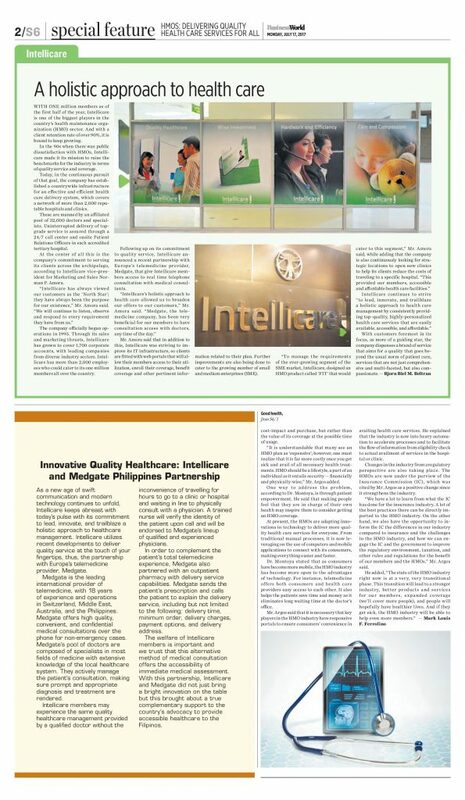 As we celebrate 23 years of healthy and strong partnerships with our employees, clients and stakeholders, Intellicare continues to gear up with Fullerton Health, united through integrity, honesty, fairness, hard work, compassion, and a heart for humanity, for more efficient operations, network expansion, and vertical integration in making quality healthcare affordable, accessible, and sustainable in the country. 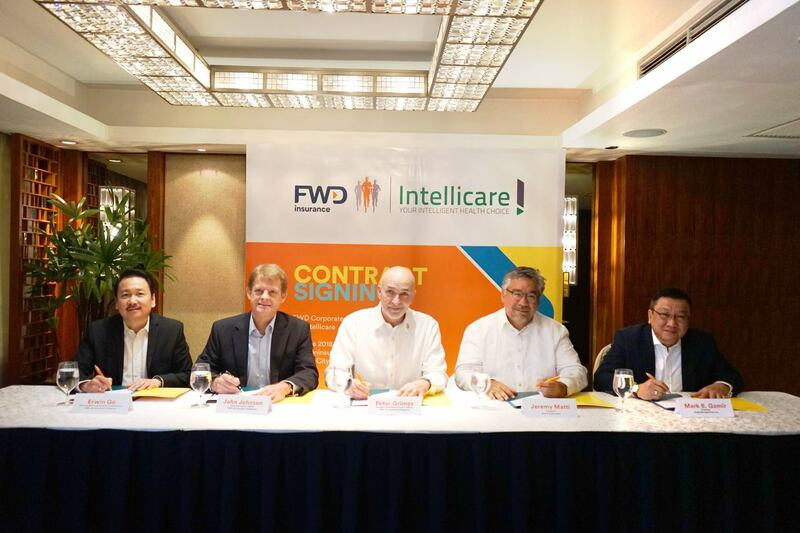 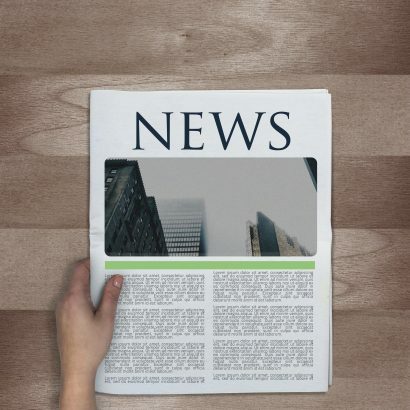 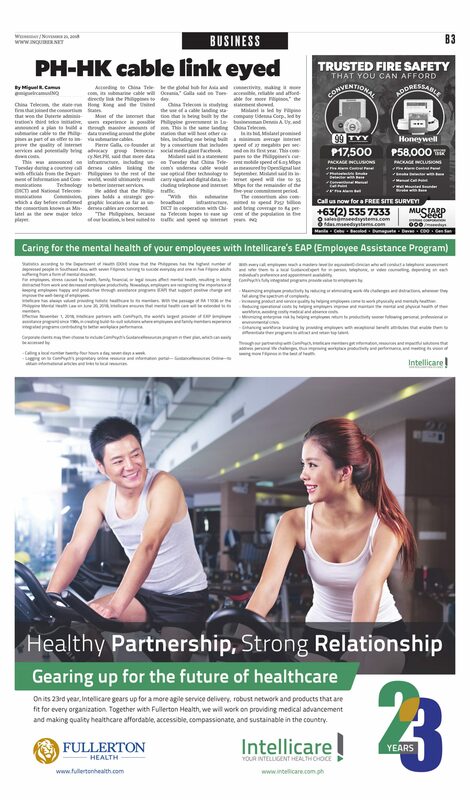 In our commitment to lead, innovate, and trailblaze holistic healthcare management, we would like to introduce the new Employee Assistance Program (EAP) benefit. 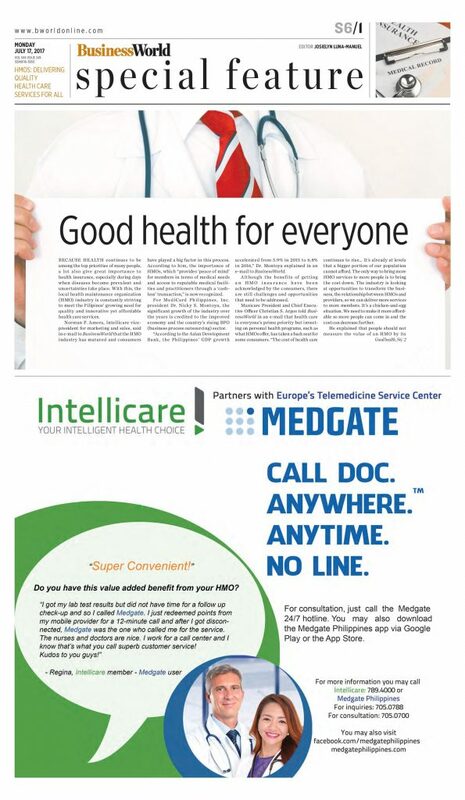 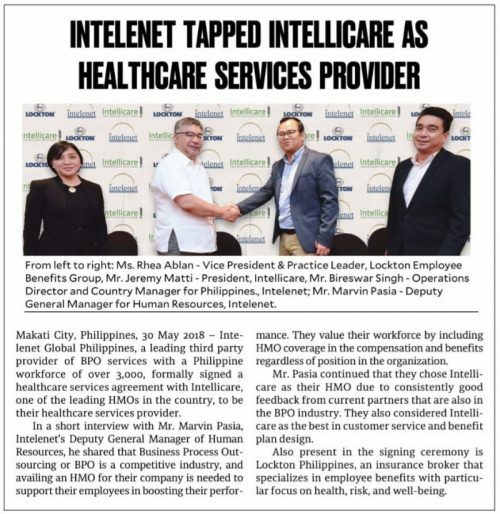 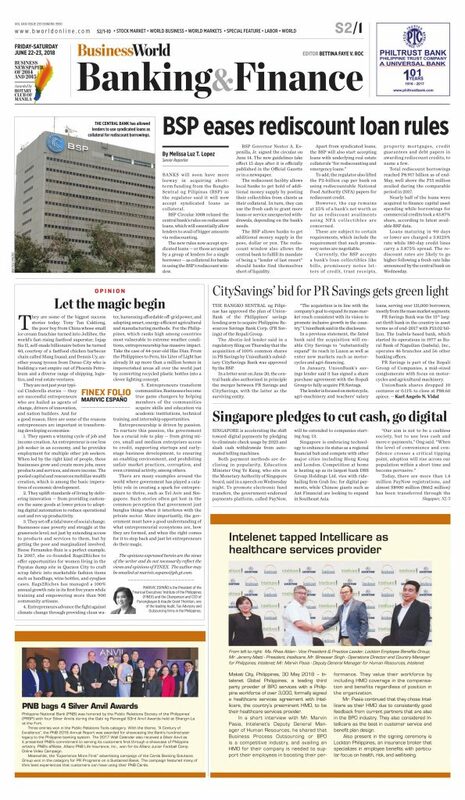 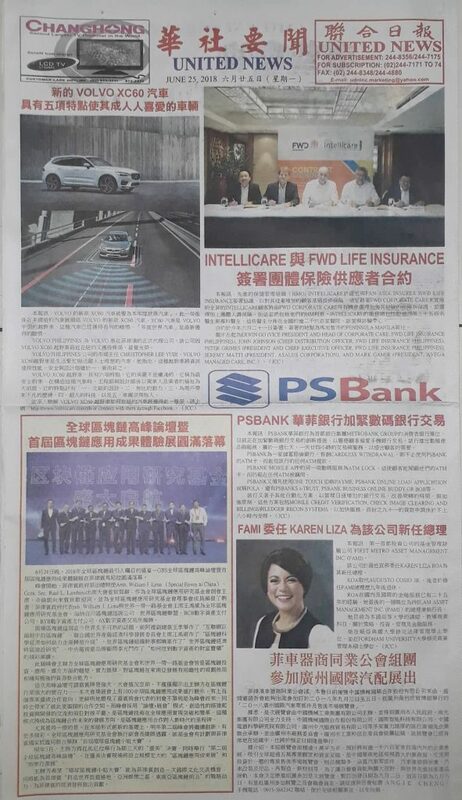 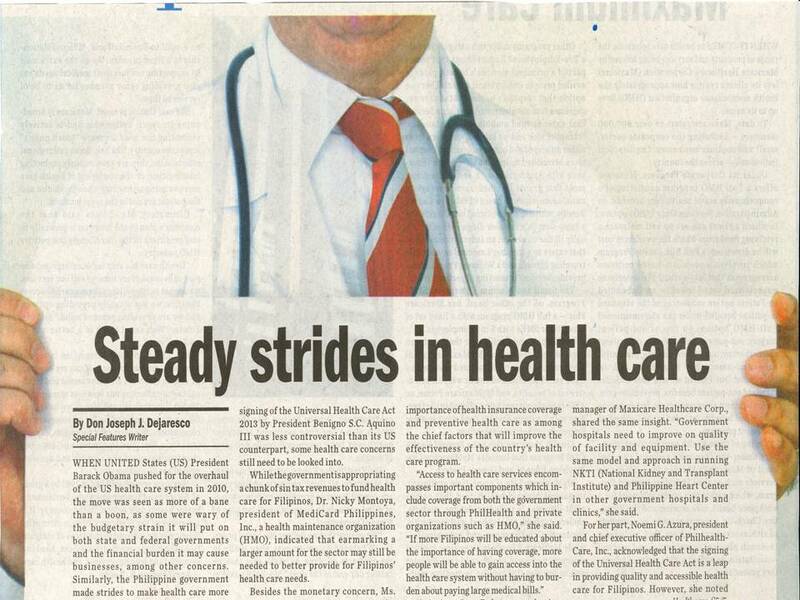 To learn more about EAP, read the article below, which can also be found on today’s issue of Philippine Daily Inquirer Business section p. B3 and Philippine Star Business section p. B5. 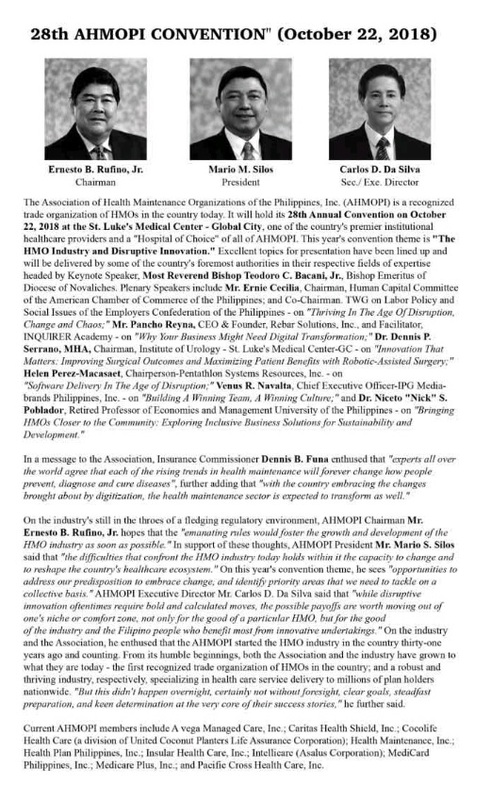 As a member of the Association of Health Maintenance Organization of the Philippines Inc. (AHMOPI), Intellicare sent a contingent to the said organization’s 28th convention at St. Luke’s Medical Center BGC today, October 22, 2018. Intellicare Chairman and AHMOPI President Mario M. Silos will be delivering his welcome remarks for the conference. 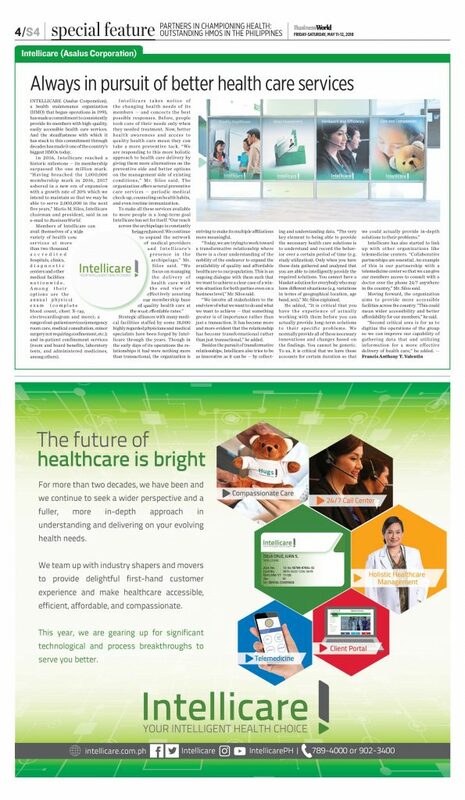 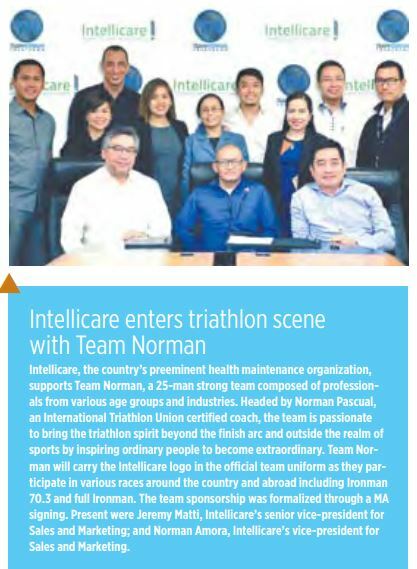 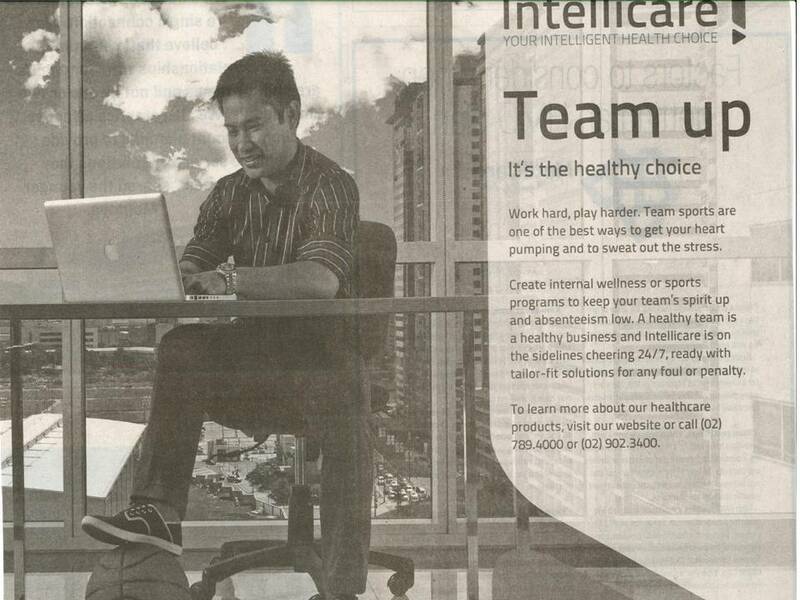 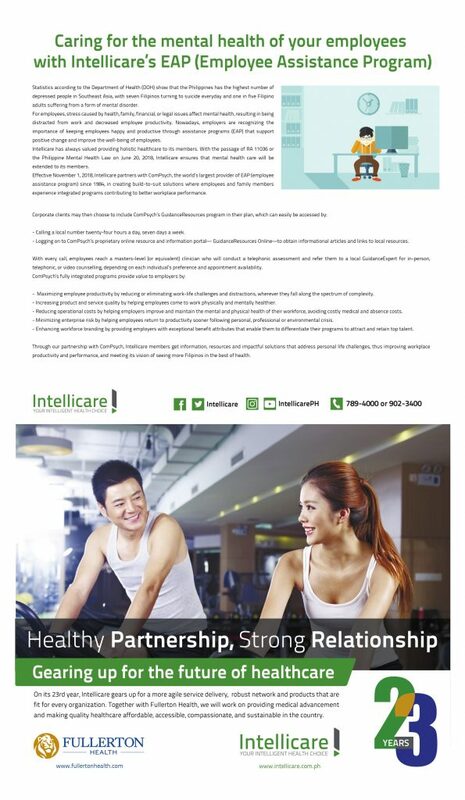 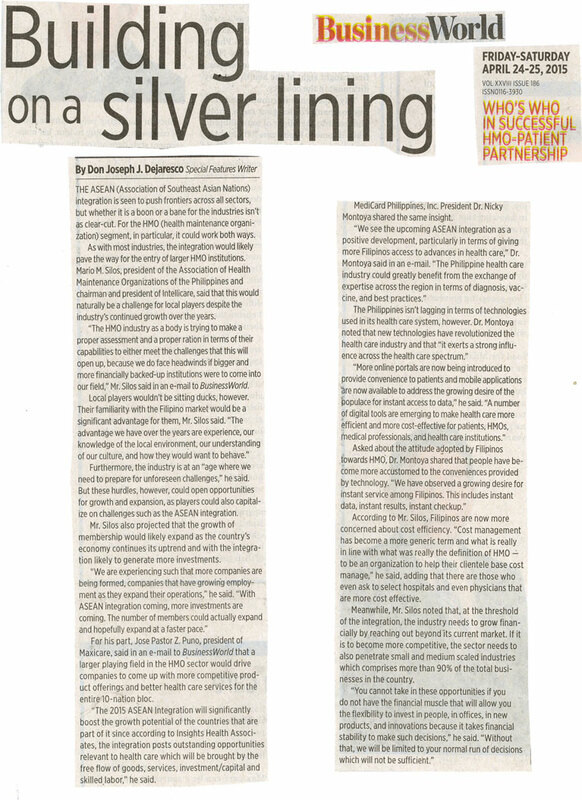 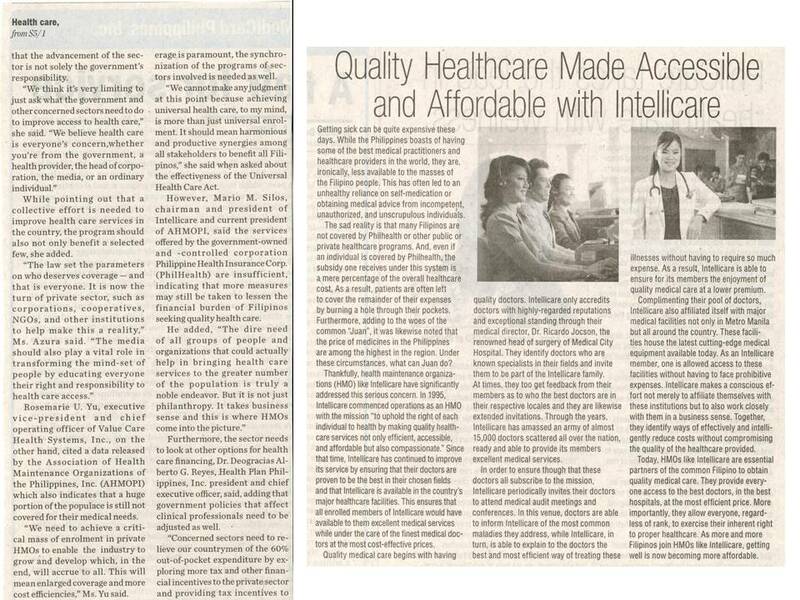 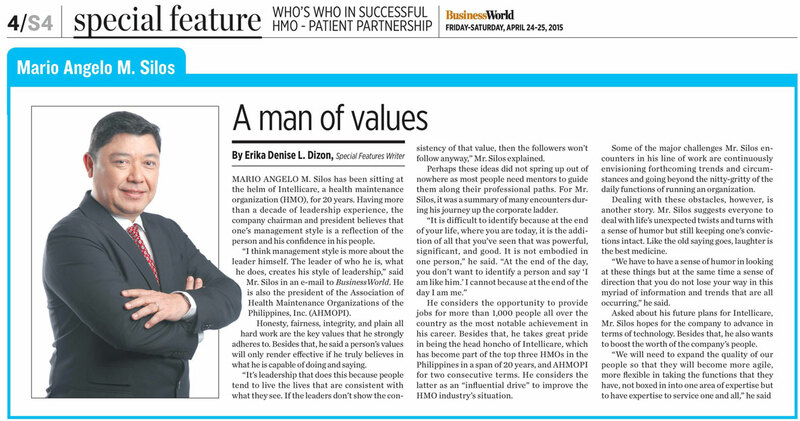 Read the article below from Philippine Daily Inquirer’s October 18, 2018 issue, Business section page B3 to learn more.